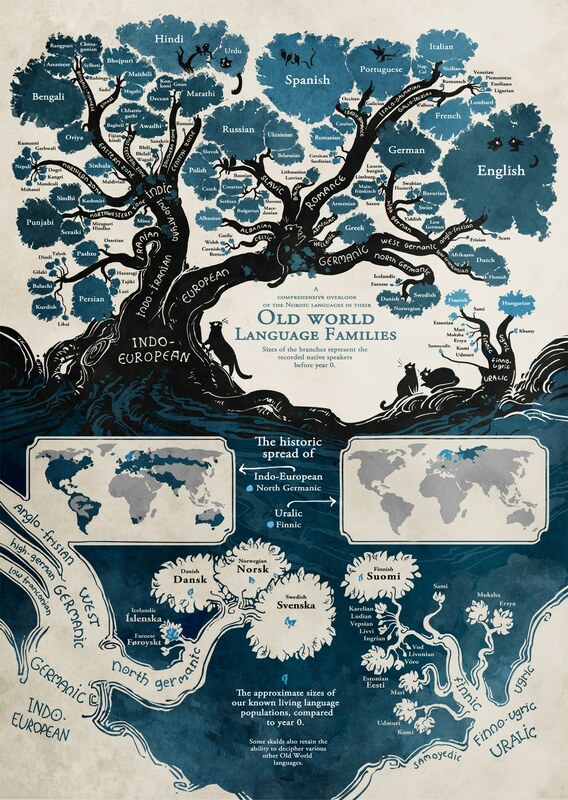 Using research from Ethnologue, Minna Sundberg created this amazing infographic in the form of a magnificent tree, which illustrates the ancient linguistic links between the world’s languages. Trees and branches are often used by linguists as a visual metaphor to explain language origination. This tree model explains the connections between groups of languages, which all descend from a common ancestral proto-language. In the same way we think of people in a biological family tree, these groups of languages are known as “families” and linguists would say that “daughter languages” within a family are genetically related. This visualization stemmed from Sundberg’s own webcomic, Stand Still. Stay Silent, which is set 900 years in the future in a post-apocalyptic Nordic world. Sundberg wanted to show why her characters could understand each other, despite them speaking different languages. Scroll down to see more details of the artist’s infographic. 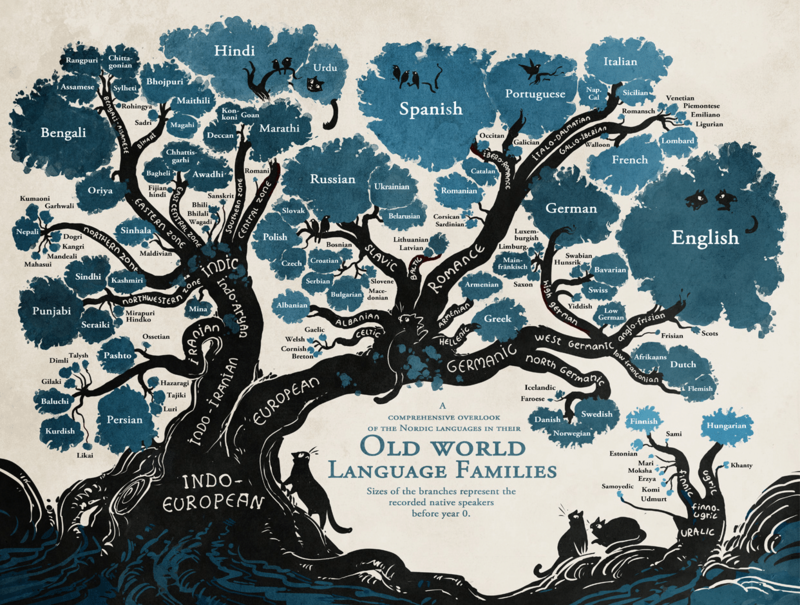 Comic artist Minna Sundberg explores the history of languages with a creative infographic, designed as a tree diagram. The size of the leaves approximates how many people speak each language, with English being one of the largest groups, alongside Spanish and Hindi. 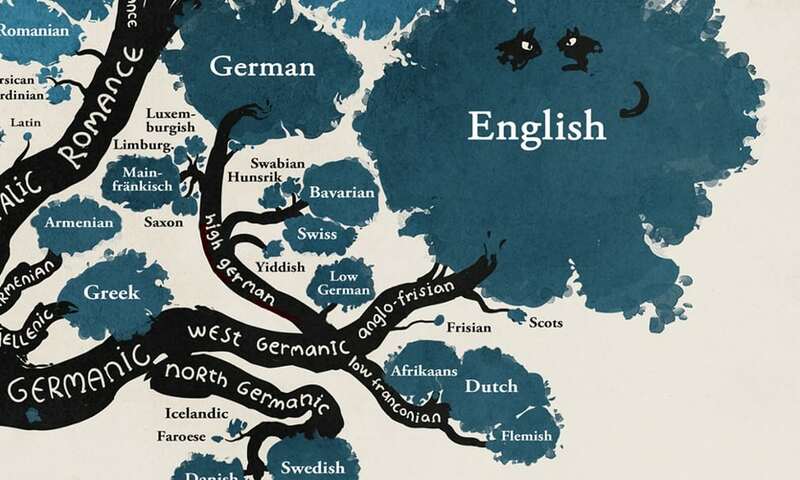 Despite being geographical neighbors, Finnish and other Scandinavian languages are derived from different roots. 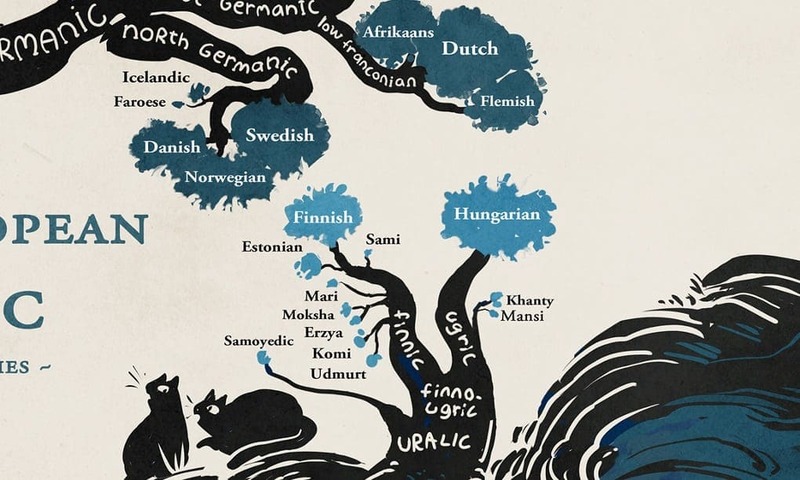 This section illustrates that Finnish belongs to the Uralic language family and Swedish, Danish and Norwegian belong to the Germanic language family. The European region splits into Slavic, Romance, and Germanic branches. Celtic languages, as well as Latin are shown as delicate twig-like branches. 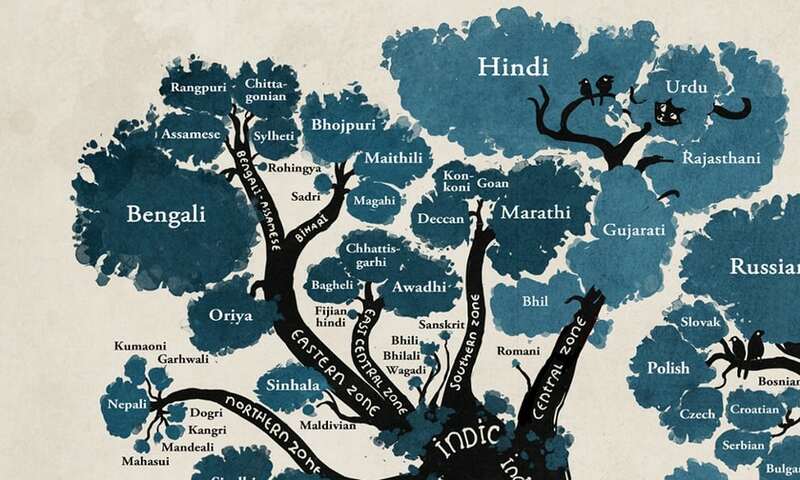 Hindi originated from the Central Zone, while Bengali sprouts from the Eastern Zone. 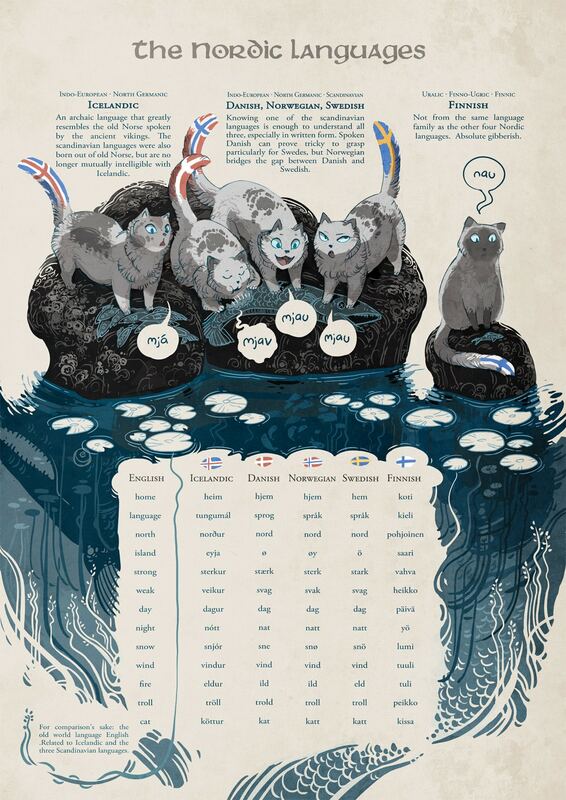 Previously, Sundberg used a cat’s meow to illustrate how Finnish is “absolute gibberish” compared to the other four Nordic languages. If you like Sundberg’s style, check out her other comic, titled A Redtail’s Dream, where the story ran for two years from September 2011 to November 2013. It’s about a young man and his shapeshifting dog’s adventures, inspired by Finnish mythology. 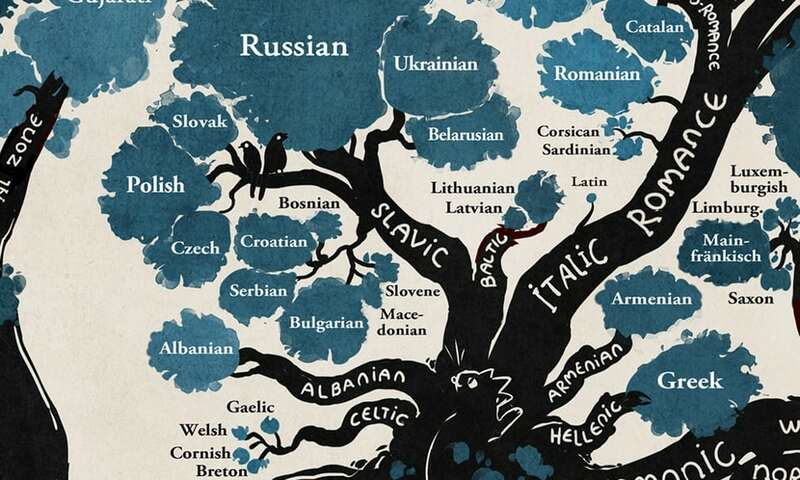 The post Comic Artist Maps the History of Languages with an Illustrated Linguistic Tree appeared first on My Modern Met.